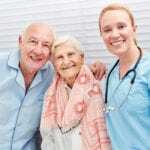 As more elderly people develop chronic illnesses and need long-term care, the demand for Certified Nursing Assistants is projected to increase. CNAs provide the most direct care to residents in long-term care. They face the daily challenge of feeding, dressing, and assisting residents with mobility issues. They make beds, prep patients for treatments, clean medical equipment, monitor patients’ conditions, and report concerns to doctors and nurses. A nursing assistant program will help you to prepare for this role as a direct care provider. But since the short-term training cannot prepare you for the tremendous challenges you’ll face, a lot of your experience will develop through daily activities on the job. Caring for chronically ill or disabled patients is stressful and difficult. As a nursing assistant, you can rely on instinctive traits, such as empathy, compassion, communication, and leadership to devise creative, credible, and sensitive responses to challenging situations. 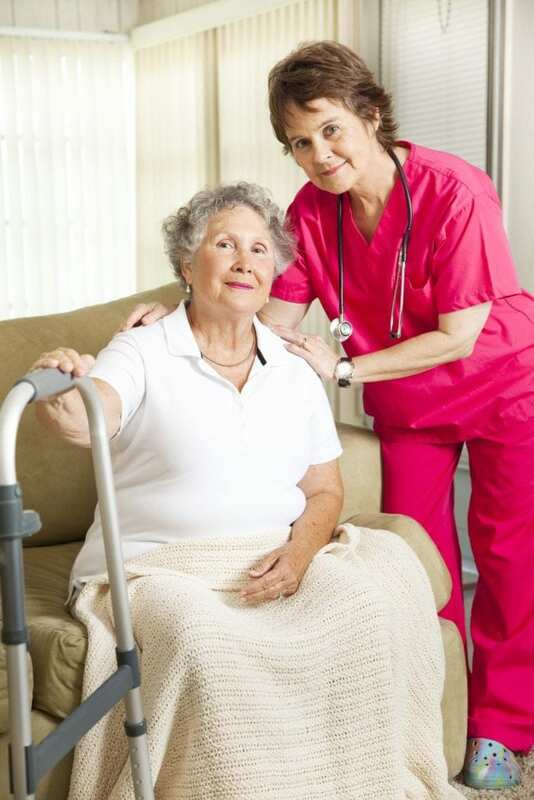 The majority of CNAs work in long-term care, according to the US Bureau of Labor Statistics. The State of Texas, like other states, requires prospective CNAs to complete DADS-approved training and competency evaluation before practicing in long-term care. Nursing assistant training is available at vocational schools, community college, and long-term care facilities. According to a BLS May 2016 report, the median annual salary for CNAs working in Texas was $26,390. The Certified Nursing Assistant program at Active Nursing Assistant Training meets the guidelines of the Texas Department of Aging and Disability Services. The 100-hour program includes classroom theory and practical learning opportunities to provide students with the skills to become competent providers of care. Areas of study include the role of the nurse assistant in long-term care, safety measures, infection control, emergency measures, resident rights and independence, communication and interpersonal skills, toileting and perineal care, assisting residents with bathing, skin care, body mechanics, positioning and moving residents, hygiene and grooming, elimination, nutrition, vital signs, and nutrition, among others. The clinical externship will be conducted at Bayou Pines care Center or Ashton Park Care Center. The externship will cover 40 hours of supervised patient care and will occur in the final week (week 4) of the course. Active Nursing hosts two class schedules for students convenience. The morning sessions meet Monday, Wednesday, and Friday from 9:00 am to 1:00 pm. The evening schedule runs from 5:30 pm to 9:30 pm on the same days. Students who successfully complete all the program’s requirements will be schedule to sit the State Exam to be added to the Nurse Aide Registry. Provide proof of being 18 years or older. Tuition for the program is $895. The course workbook is $25. Other costs include supplies (stethoscope and uniform), flu shot, PPD, and CPR. Students enrolled in the Nursing Assistant Certificate program at San Jacinto College will develop the skills and competencies to provide direct care services in acute and long-term facilities. The program provides a total of 108 contact hours of instruction: 68 hours in the classroom and lab and 40 hours in a clinical environment. Course topics include body mechanics, vital signs, infection control, observation and reporting, personal hygiene, the role and responsibility of nurse aides in long-term care, anatomy and physiology, positioning and moving residents, and safety and emergency measures. Students will participate in supervised patient care experiences during the final week of the program. Clinical sessions will meet Monday through Friday for 8 hours each day. Graduates will be prepared for certification after passing the State Competency Evaluation. The cost for tuition is $902. Books and supplies are not included. Lone Star College trains adults for a career in nursing through the Certified Nursing Assistant program. The program delivers 262 hours of comprehensive training. It includes 64 hours in the classroom, 4 hours of supervised patient care experiences during the clinical practicum, and 8 hours of exam prep. There is an 8-hour module that is not included on the program cost. Students must pay an extra $64 f for this final module. Areas of study include but are not limited to patients’ rights and independence, infection control, patient transfers, personal care and grooming, communication, basic safety, the role of the nurse aide, basic nursing skills, rehabilitation and restorative treatments, vital signs, and hospice care. The state-approved nursing assistant program at Consolidated Nurse Aide Training includes classroom theory, practical skills lab, and a clinical externship in a long-term care facility. Areas of study include anatomy and physiology, medical terminology, basic nursing skills, personal care and grooming, safety and emergency skills, measuring vital signs, patients rights and independence, patient transfers, range of motion exercises, rehabilitation and restoration exercises, the role of the nurse aide, perineal care, nutrition, hydration, and hospice care. The instruction will also include extensive preparation for the written and skills portions of the state certification exam. Consolidate Nurse Aide Training admits new students throughout the school year. The program is offered on a daytime schedule only. Class hours are Monday through Friday from 9:00 am to 5:00 pm for the first two weeks. The clinical session occurs during the last week and meeting times are from 6:00 am to 2:00 pm. Students must have a valid CPR card for clinical placement. Onsite CPR training is available for an additional cost. The cost of attendance is $950. It includes the cost of the textbook, supplies, and equipment. Students must assume the costs for the required uniform, CPR certification, TB clearance, and health requirements. Job placement assistance is available for all graduates. The Certified Nursing Assistant program at Wharton County Junior College is regulated by the Texas Department of Aging and Disability. The program’s goal is to provide the knowledge and skills adults need to function as competent direct care professionals. Students will learn communication and interpersonal skills, emergency procedures, infection control, residents’ independence and rights, personal care skills, mental health and social service needs, basic nursing skills, basic restorative services, and care of cognitively impaired residents. The curriculum delivers 106 contact hours of theory and clinical instruction. During the clinical component of the program, students will provide hands-on care in a long-term care facility. Graduates will be eligible to take the state exam to practice as Certified Nursing Assistants. Candidates must apply and receive confirmation of acceptance to the program before registering and paying. Tuition for the program is $850. Students must purchase the textbook, scrubs, shoes, supplies, and a watch with a second hand.